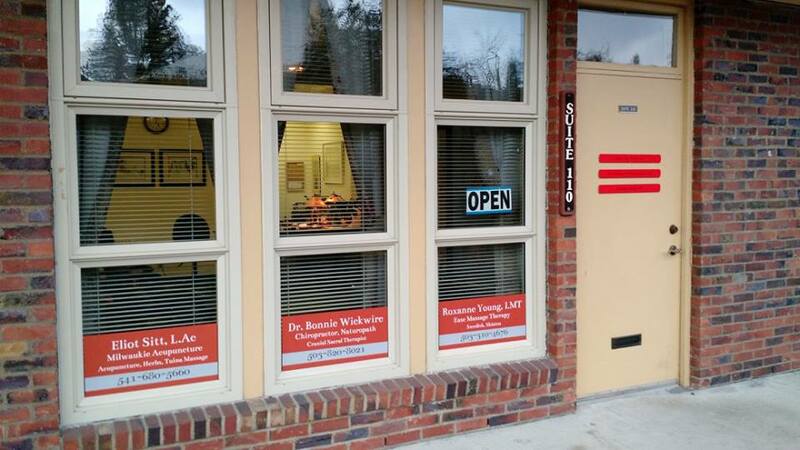 Welcome to Milwaukie Acupuncture, the private practice of Eliot Sitt, L.Ac. If you are in pain, under stress, or otherwise trying to improve your health, I’m here to help you in a way that is affordable, professional, and kind. I practice traditional Chinese medicine, a system of medicine that includes acupuncture, herbs, & Chinese massage. In my experience, these modalities may help with a wide variety of health conditions, either as an alternative or supplement to conventional care. To schedule, you can reach me directly at 541.680.5660, stop by the clinic, or pick your appointment time online. I offer a 40% discount on these prices for people experiencing financial hardship. Please call for more details. If your insurance covers acupuncture, the cost to you depends on the details of your plan. I am an in-network provider with many major insurance companies, including Regence, Providence, Cigna, Aetna, Healthnet, Axis, & Pacific Source. I am out-of-network for Moda, Kaiser, and United Healthcare. If you are recovering from an automobile accident or were injured at work, your insurance may cover the cost of your treatments. Acupuncture is a safe and surprisingly relaxing therapy. The needles are small and shouldn’t hurt, other than a quick poke upon insertion. Many people report tingling, buzzing, or mild aching sensations. Most people experience a general sense of relaxation. Tuina massage (“twee-na” ) is rhythmic with smooth, controlled movements. It’s especially beneficial for muscular tension, stress, and pain. It can be combined with acupuncture or used as a primary treatment. Chinese herbs range from food grade spices like cinnamon and ginger to intense medicinals with strong effects. Single herbs are most often combined into elegant, well-balanced formulas that have been passed down and refined for centuries. Herbs are available raw (to be cooked), powdered (to be mixed with hot water), or as herbal pills or tinctures. I am a board-certified herbalist and I supervise and teach in OCOM's large Chinese herbal medicinary. The herbs that I use are carefully sourced for quality and safety. Alert, relaxed movement can do wonders for your health. It reduces stress, increases awareness, and refines your control of your body. Tai Chi and Qigong are traditional exercises that emphasize relaxation and smooth, coordinated motion. or schedule your appointment online.